Found in the Goorin Brothers hat store in North Beach. 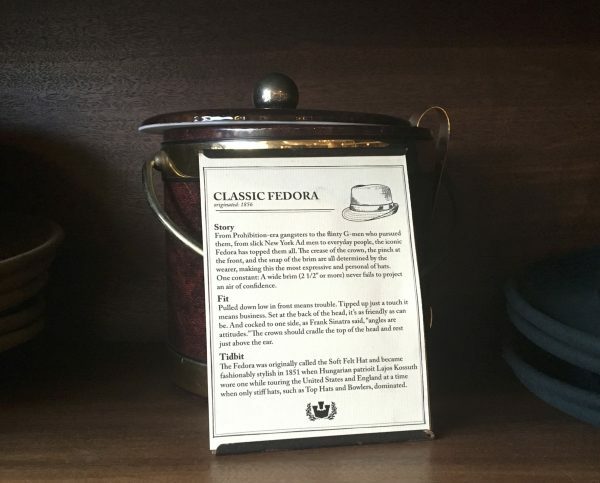 A very, very subtle misdirection: in case you were deceived, that is in fact an ice bucket, not a fedora. Anyone else think it’s funny? No? Oh well. This entry was posted in Sunday Switchup and tagged Funny signs, North Beach. Bookmark the permalink.